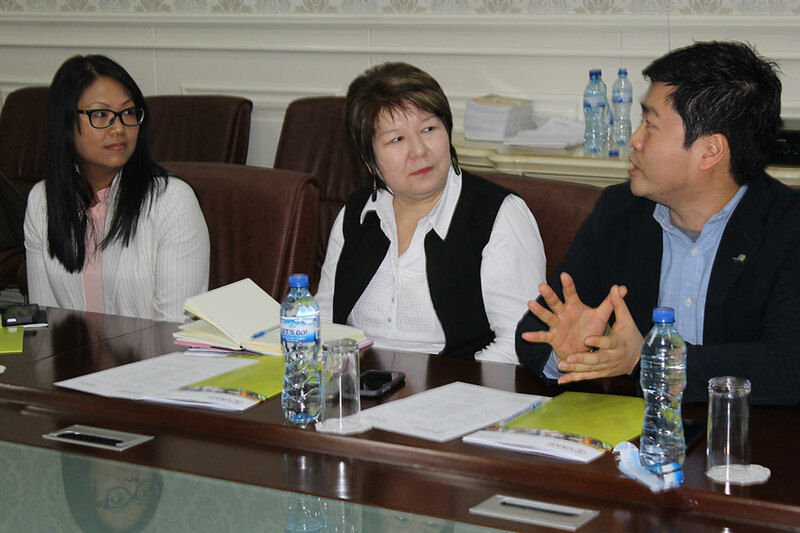 SPRING/Kyrgyz Republic hosted an event on Friday, February 10, 2017, entitled “Strengthening Linkages between Agriculture and Nutrition.” SPRING presented on nutrition-sensitive agriculture, an approach wherein agriculture initiatives and projects both target and yield nutritional outcomes in addition to traditional agriculture results. 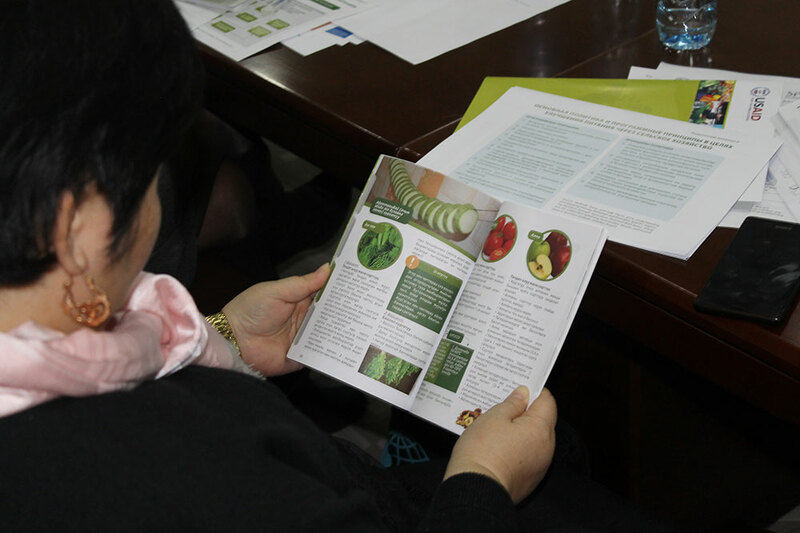 A participant looks at a copy of the new publication for home-based storage and preservation of nutritious foods in the Kyrgyz Republic. 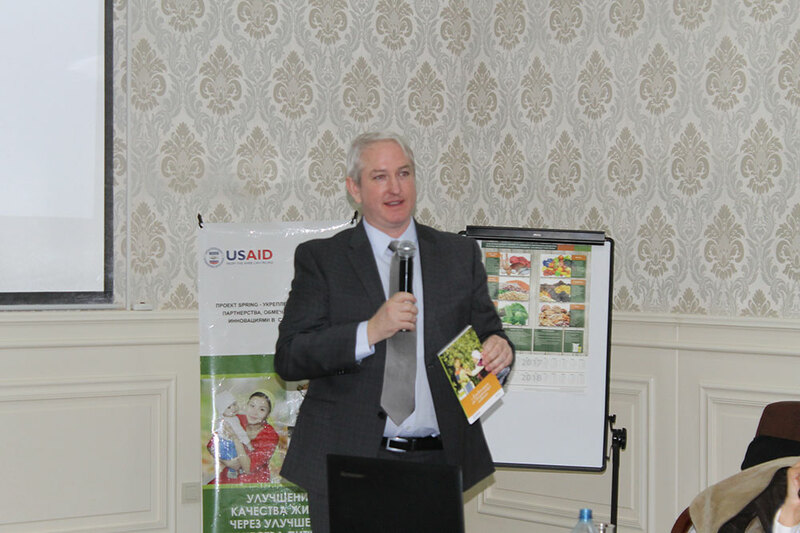 Michael Foley, SPRING/Kyrgyz Republic Chief of Party, discusses the new publication for home-based storage and preservation of nutritious foods in the Kyrgyz Republic. 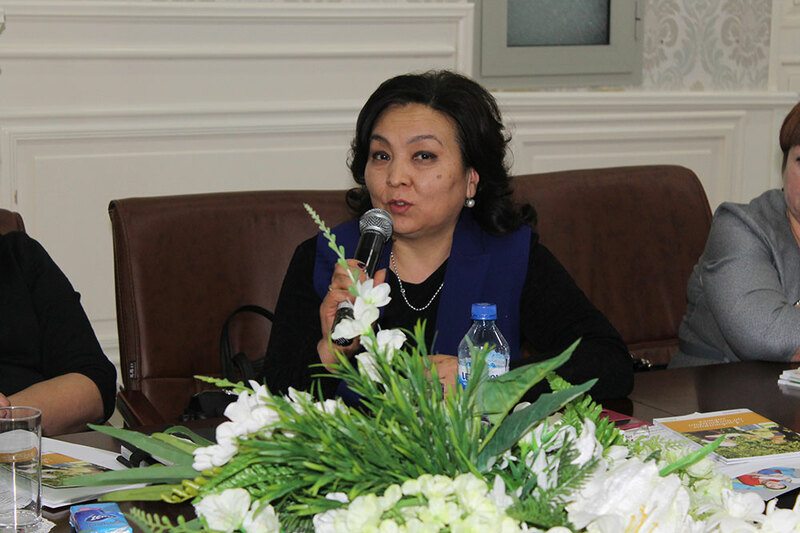 Anara Bekkulieva, Head of Food Safety Department at the Ministry of Agriculture and Melioration of the Kyrgyz Republic, shares her thoughts about the importance of increasing access to diverse foods. How Can Social and Behavior Change Impact Nutrition?